Treasury Secretary Timothy Geithner said that the new plan was intended to change the "dangerous dynamic" of a financial system that was impeding economic recovery rather than supporting it. WASHINGTON — Treasury Secretary Timothy Geithner said Tuesday the new administration will wage an aggressive battle against the worst financial crisis in seven decades through programs designed to increase consumer lending and remove toxic assets from banks' balance sheets. But analysts said they were disappointed by the lack of details in the plans, and investors appeared wary. The Dow Jones industrial average plunged about 330 points in afternoon trading as financial stocks led the market lower, reflecting Wall Street's concerns that the government's latest plans aren't enough to revive the banking industry. The new efforts are part of the government's major overhaul of the widely criticized $700 billion financial rescue program. The Federal Reserve said it would expand the size of a key lending program to as much as $1 trillion from $200 billion. The program, which has yet to begin operations, is designed to boost resources for consumer credit and small business loans. The Fed said the program would be expanded to cover the troubled commercial real estate market and certain residential mortgages. 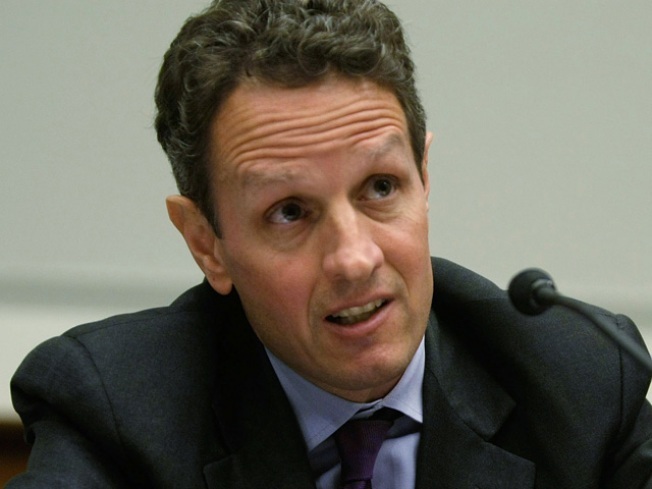 "Right now critical parts of our financial system are damaged," Geithner said. "Instead of catalyzing recovery, the financial system is working against recovery and that's the dangerous dynamic we need to change." Geithner said the loss of 3 million jobs last year, and another 600,000 just last month underscored the urgency for government action. "It is essential for every American to understand that the battle for economic recovery must be fought on two fronts," Geithner said in a speech in Treasury's ornate Cash Room where he unveiled the administration's new plan. "We have to both jump-start job creation and private investment and we must get credit flowing again to businesses and families," he said. Geithner pledged to "fundamentally reshape" the bailout program with the effort guided by the lessons of financial crises throughout history. The administration's new plan will greatly expand an effort to unclog credit markets that provide loans to consumers and businesses. This effort will see a fivefold increase in bailout funding to $100 billion. If a total of $100 billion from the bailout fund were used, it would be enough to support an additional $1 trillion in lending support through the Fed's program, known as the Term Asset-Backed Securities Loan Facility, the administration said. The administration also unveiled a program to create a partnership between the government and the private sector to get private investors to buy bad assets that are currently weighing down banks' balance sheets. Geithner said the program initially will aim to support the purchase of $500 billion in bad assets, but could ultimately support up to $1 trillion in purchases. Geithner said he realized the financial rescue represented a sizable commitment, but noted that many of the amounts were loans and loan guarantees, which means the government eventually will be repaid. Still, the country should know that the program will involve costs to the government and risks, but he said the alternative of doing nothing would be far riskier. "As costly as this effort may be, we know that the complete collapse of our financial system would be incalculable for families, for businesses, and for our nation," Geithner said. Congressional aides said the administration was looking at possibly providing guarantees to investors who purchase the toxic assets or using the Fed's resources to lower their borrowing costs. But Christopher Whalen, managing director of Institutional Risk Analytics, said the new plan doesn't aggressively tackle the issue of how to get the toxic assets off banks' books so they'll start lending again. "We're still not dealing with the core issue," he said. "It's more incremental thinking." The government is betting that access to Fed loans will entice private investors to buy toxic assets, but Whalen said many hedge funds, private equity firms and other investors are still wary of trading them. "Most fund managers see these assets and don't want to touch them," he said. "They can't sell them." With just the consumer lending and bank asset programs, Geithner outlined efforts that could total $2 trillion. However, the public-private partnership to sop up bad assets will depend heavily on how much interest the private sector has in participating in the program. Details of that effort were still being worked out. And the projected $1 trillion partnership with the Fed to unclog the markets supporting credit card debt, as well as auto, student and small business loans also will depend on the interest that private investors show in participating in a program the Fed has been working since November to launch. Other major elements of the bailout effort include continued government purchases of stock in banks, and at least $50 billion to help homeowners deal with rising foreclosures. The focus on aiding borrowers was seen as a welcome change by consumer advocates, who unsuccessfully pressed the Bush administration to take similar steps. But details of the foreclosure prevention efforts were not expected to be released until later this month. "Certainly the flavor has changed and that's encouraging, but we need the meat on the bone here," said John Taylor, chief executive of the National Community Reinvestment Coalition, a consumer group in Washington that's pressing the administration to buy up distressed loans in bulk and modify them so borrowers stay in their homes. Geithner said the administration's efforts to deal with the financial crisis would supplement the $800 billion-plus economic stimulus program the administration is pushing Congress to pass. The new administration's bailout overhaul sought to address widespread criticism in how the Bush administration ran the $700 billion program Congress passed in October. 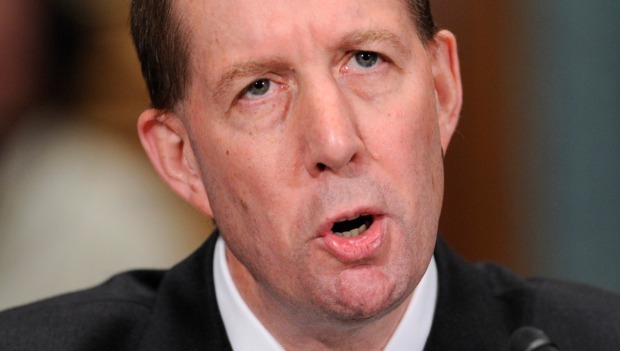 Lawmakers in both parties charged that banks were getting billions of dollars in taxpayer support with few strings attached, and that all the government aid was failing to accomplish its primary objective of getting banks to resume more normal lending. Under the overhaul, the Obama administration seeks to deal with those issues by more closely monitoring banks to make sure the money they receive is being used to increase lending. The biggest banks participating in the program also will have to undergo a "stress test" of their balance sheets to ensure they are in sound enough condition to receive additional government support, Geithner said. President Barack Obama, speaking at a prime-time news conference Monday night, said his overhaul of the financial rescue program would bring "transparency and oversight" to the heavily criticized program. He said the overhaul would correct previous mistakes such as a "lack of consistency" and what he said was the failure to require banks to show "some restraint" in terms of executive compensation and spending in such areas as corporate jets. The first $350 billion in the bailout program was committed by the Bush administration under the direction of former Treasury Secretary Henry Paulson. In part because of the political outrage over how the program has been run, the Obama administration decided against seeking any additional money beyond the $350 billion left to be spent as part of its initial overhaul. Many economists believe that $700 billion will not be enough to get the financial system operating normally and that the administration will eventually have to ask for billions more. The administration, however, decided to try to increase the power of the program by using smaller amounts of bailout money to harness bigger resources available at the Fed and in the private sector. Asked about the possibility that his administration will ultimately need more money, Obama said Monday the goal now is to "get this right" because it was important to restore financial market confidence so banks will resume more normal lending.